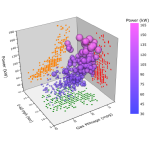 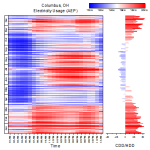 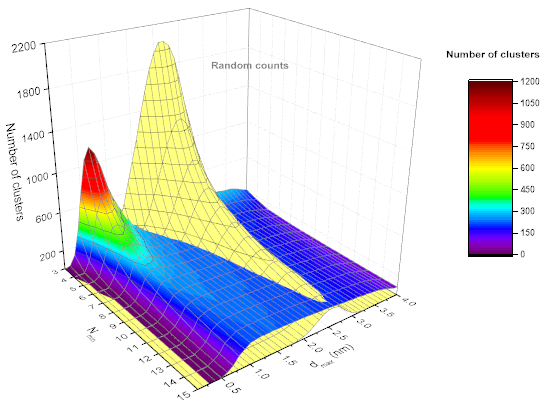 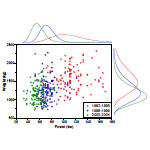 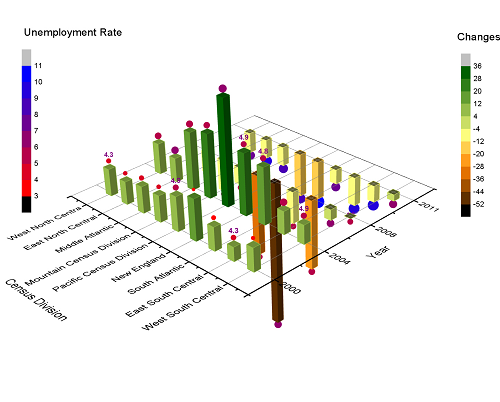 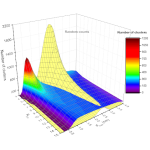 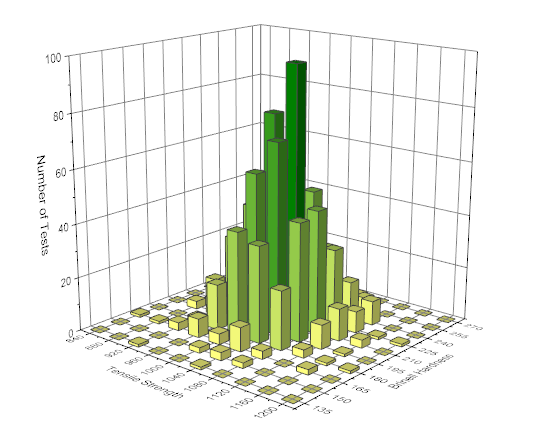 3D Histogram graph from the bivariate data. 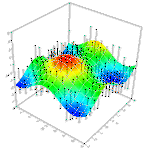 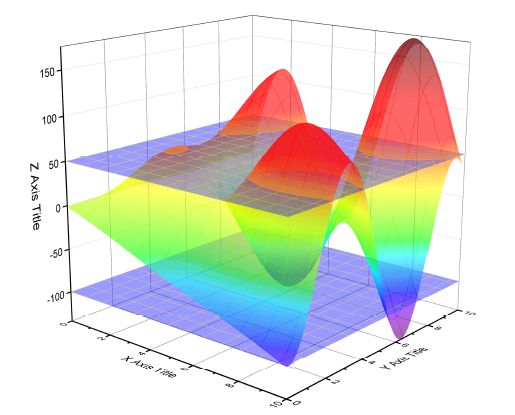 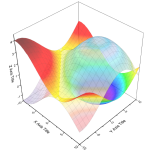 3D surface plot from a matrix containing missing values. 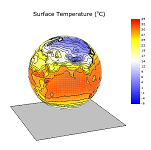 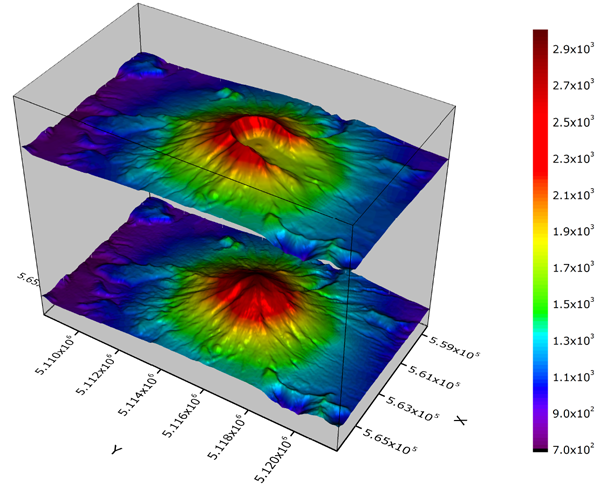 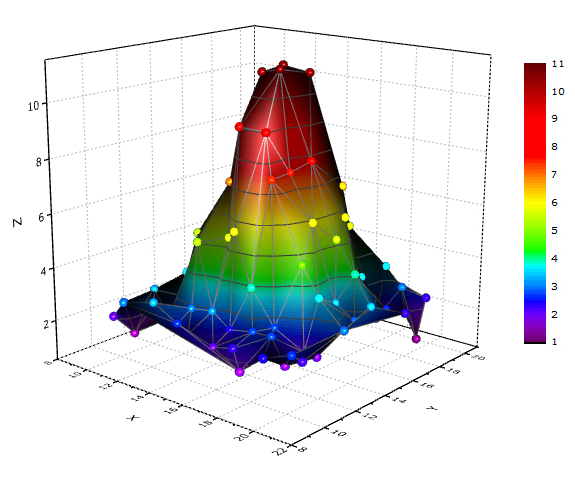 A 3D colormap surface plot with contour projection in the XY plane. 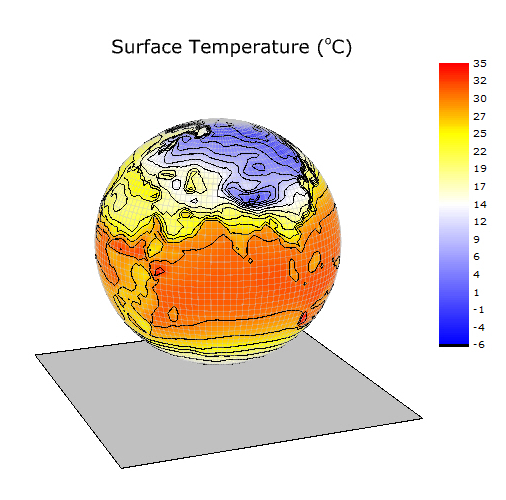 3D surface to displays a 3D Sphere drawn with parametric equations. 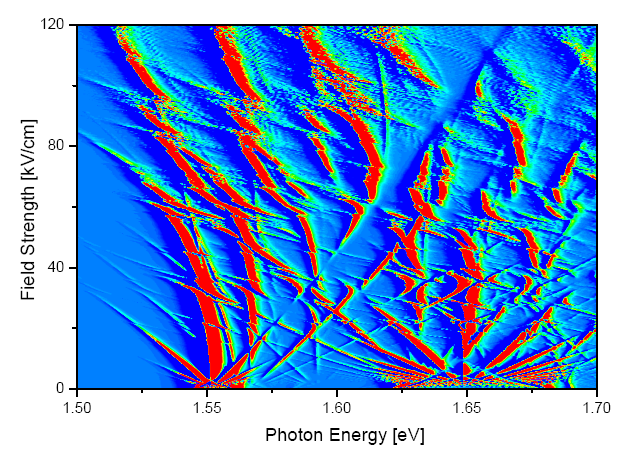 This graph shows the calculated optical density of states of a superlattice as function of the photon energy and the electric field. 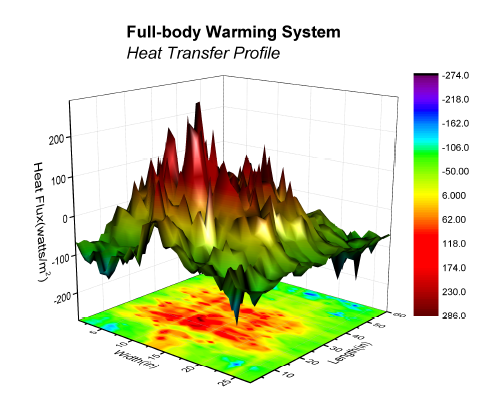 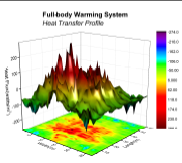 Color map surface and color contour graphs profiling differences in body heat transfer. 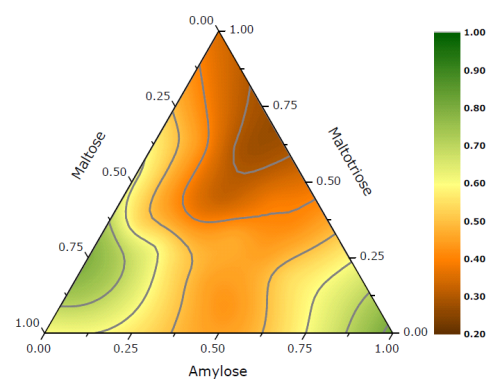 Color-filled contour plot with color scale representing matrix data, overlaid with white contour lines representing fit matrix. 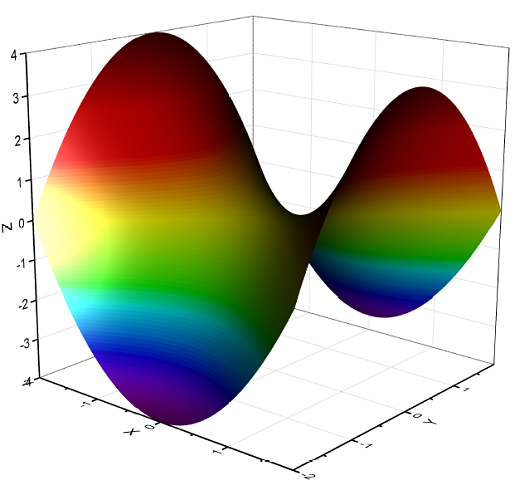 Surface plot with color map values assigned from another matrix. 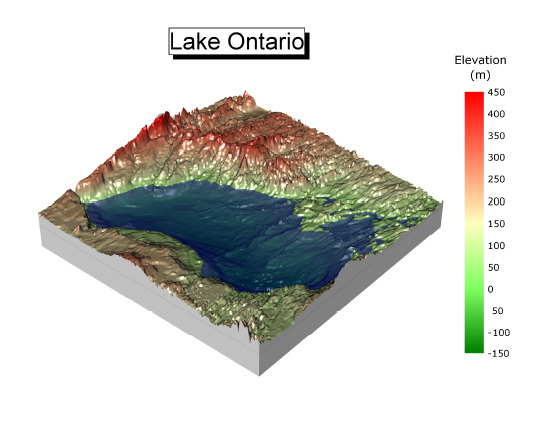 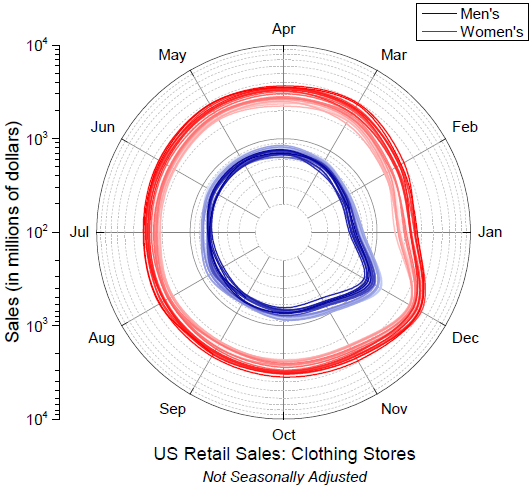 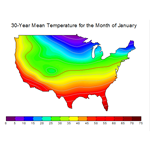 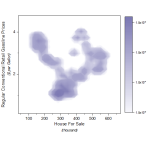 Waterfall plots from XYYY data with Z scale from custom parameter row. 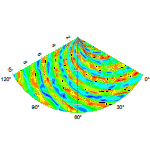 Ternary contour plot from worksheet with three data columns represented as ternary coordinates, and one column used to compute the contour. 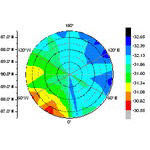 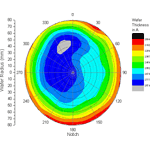 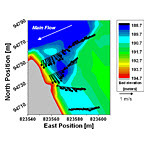 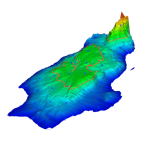 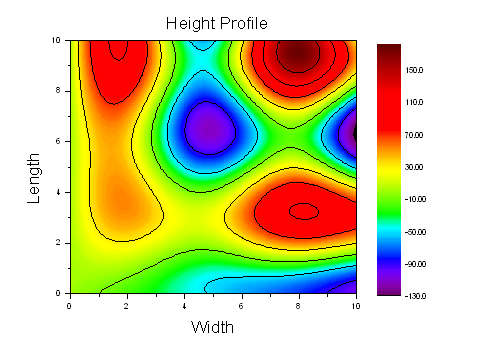 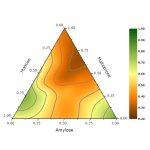 Contour plot with major and minor levels filled and Rainbow palette applied. 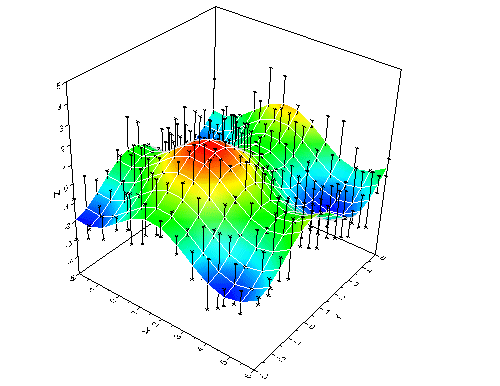 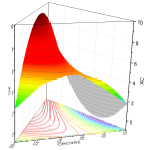 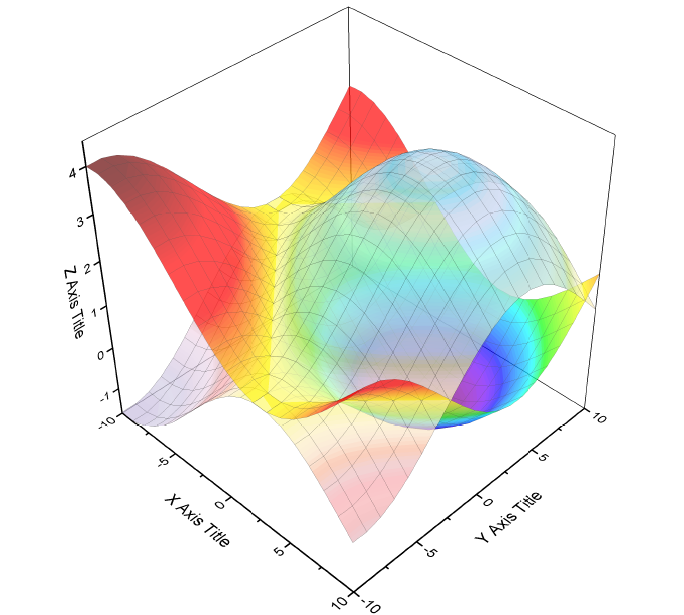 3D color map surface plot with skipped lines and missing values. 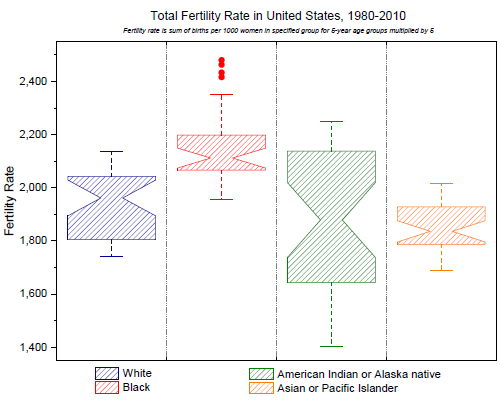 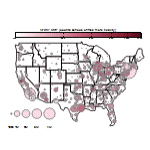 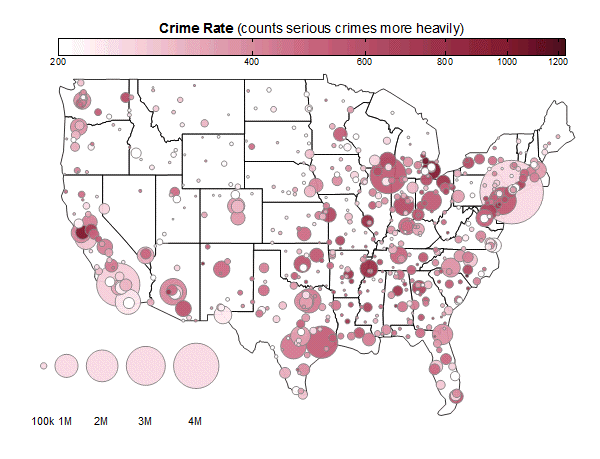 Multiiple dot chart consisting of data points plotted on a simple scale. 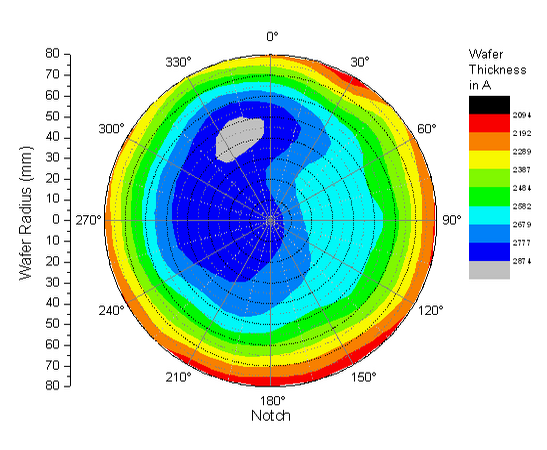 Polar contour plot of semiconductor wafer thickness as a function of the radius in millimeters and the angle. 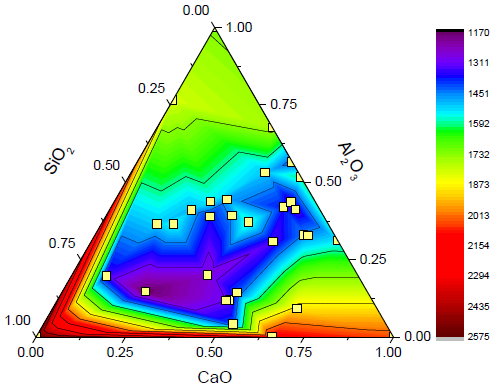 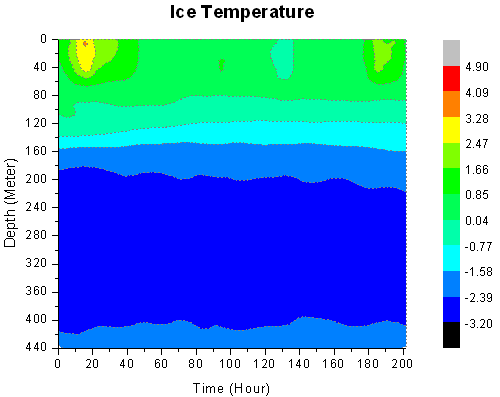 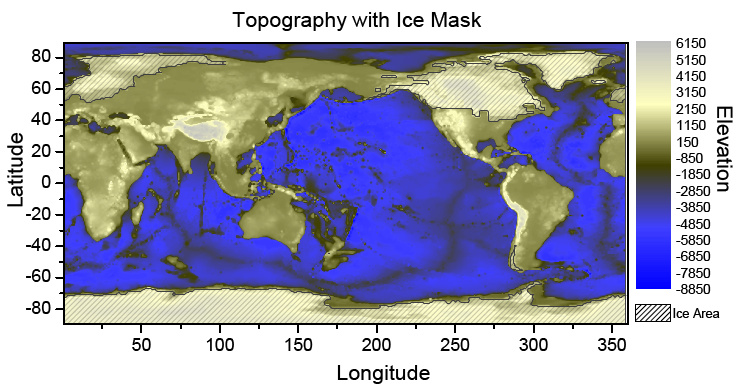 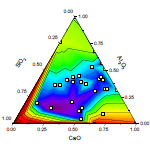 Contour plot derived from XYZ worksheet data measuring ice temperature at different depths over time. 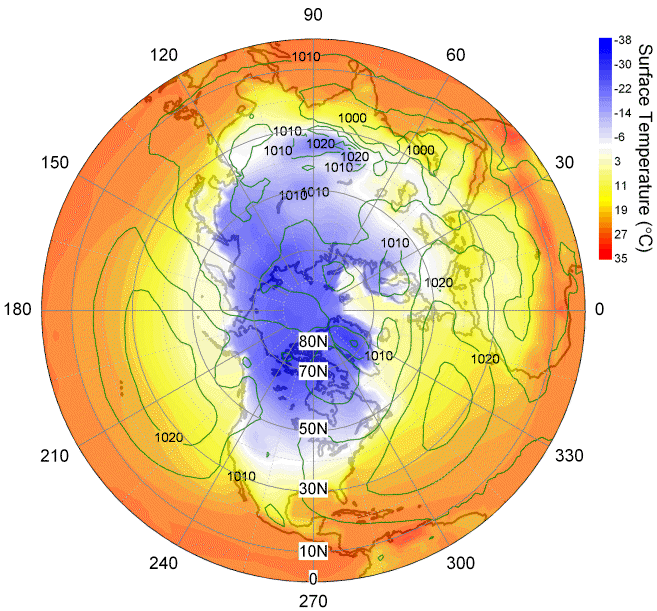 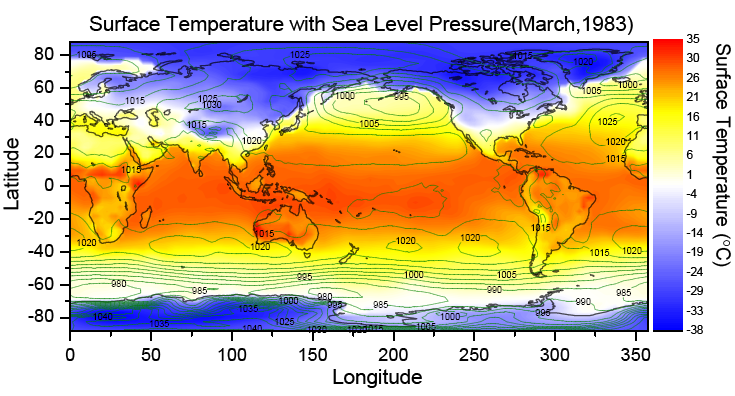 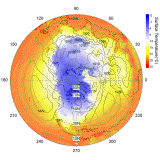 Polar plot depicting temperature distribution near the North Pole. 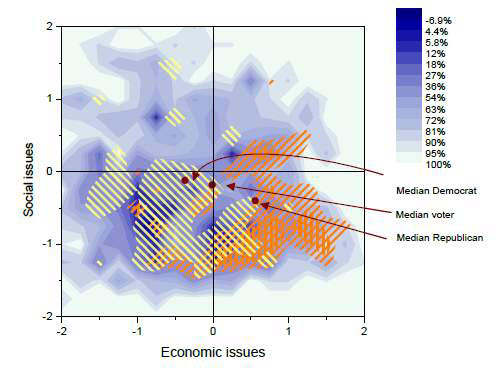 Contour plot showing US voters arranged on a two-dimensional policy space, with the Y-axis representing social values (higher = more liberal), and the X-axis representing economic values (higher = more conservative). 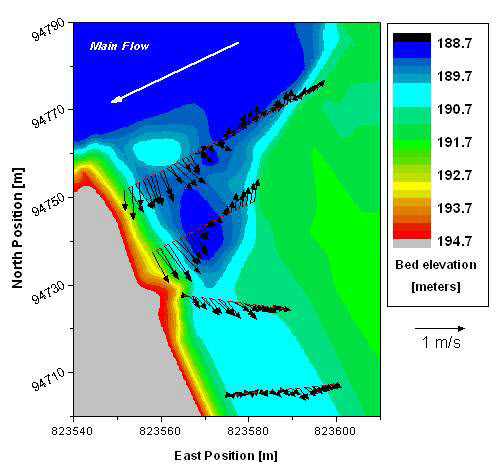 This graph portrays flood impact on the morphology of channels abandoned by rivers. 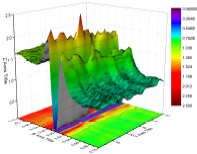 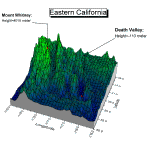 It uses a Contour Color Fill plot to depict depth elevation and a Vector XYAM plot to show flow velocities. 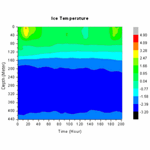 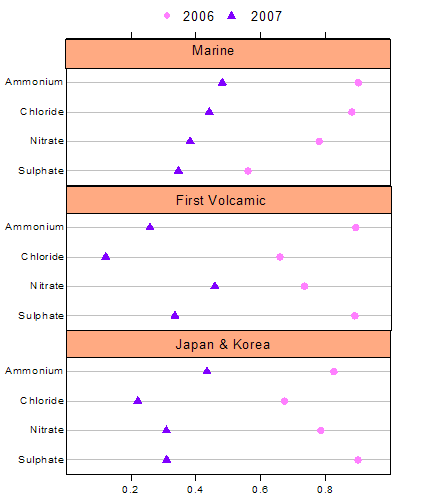 Box chart displaying simulated water discharge data for a water discharge station. 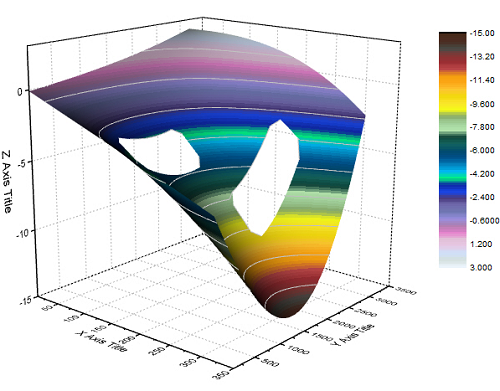 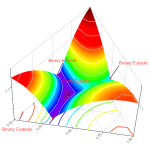 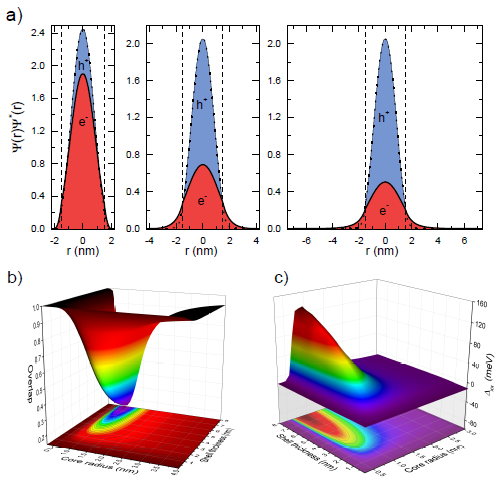 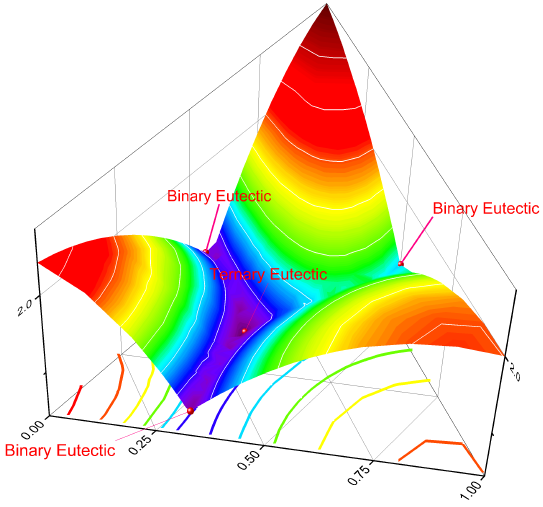 3D Color Map Surface Plot representing the density of electronic states in a superconductor. 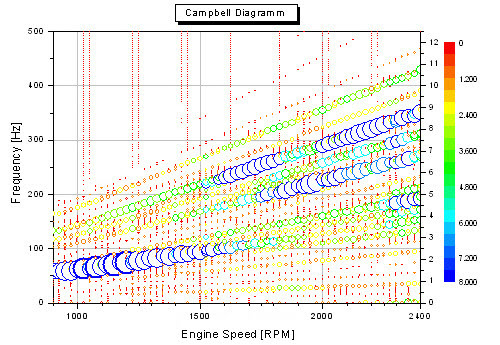 Campbell diagram for checking coincidence of vibration sources with natural resonances. 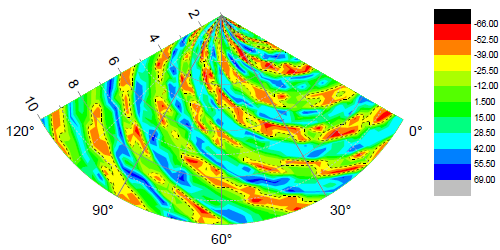 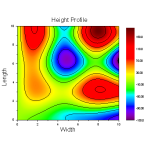 Contour plot depicting vertical wind velocities as a function of time and height, overlaid with a vector plot depicting wind speed and direction. 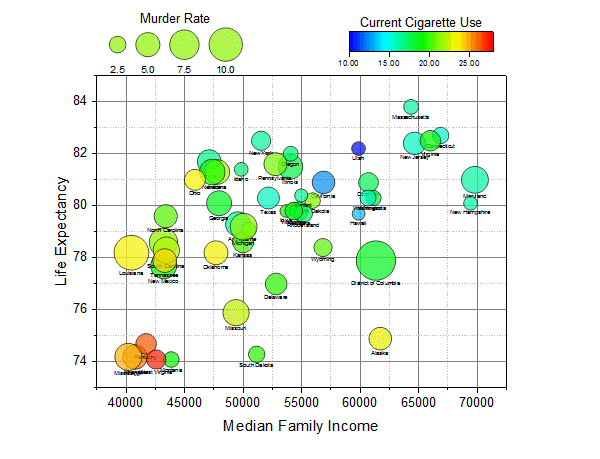 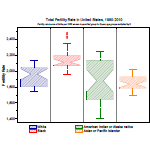 Two-panel line and symbol plot illustrating changes in adult cigarette smoking behavior in the United states between 1965 and 1995. 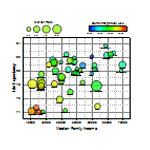 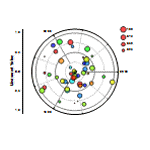 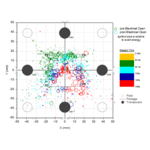 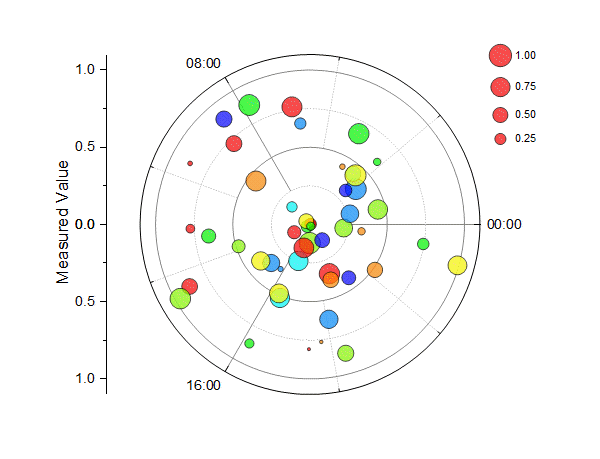 Bubble + Color Mapped Plot depicting earthquake data, both magnitude (bubble) and depth (color map). 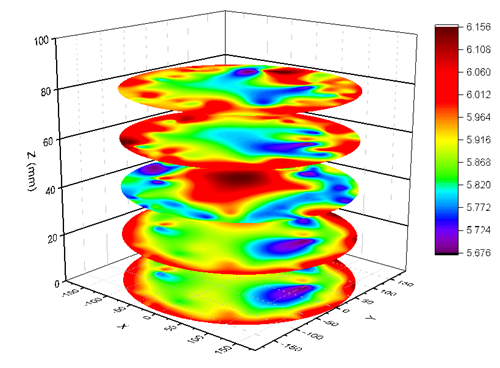 Contour color fill graph of the short-time Fourier transform of Doppler data. 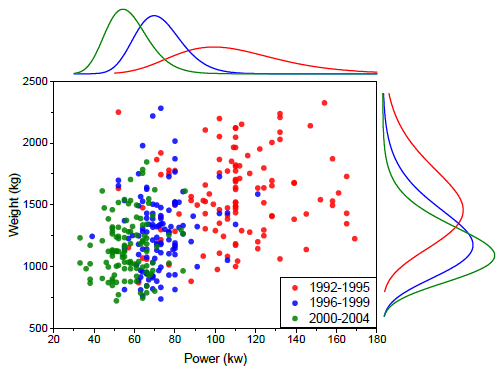 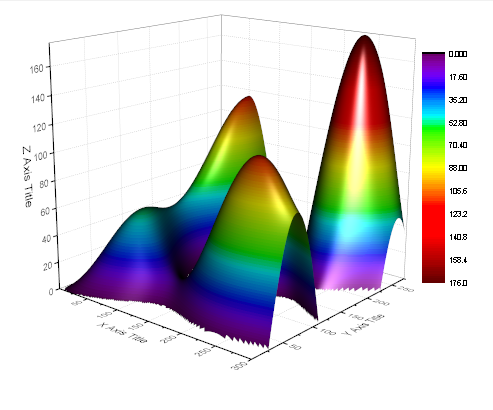 Emission intensity plotted as a function of excitation and emission wavelengths. 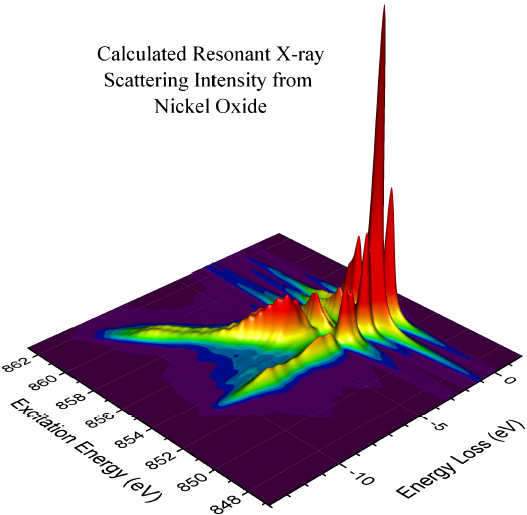 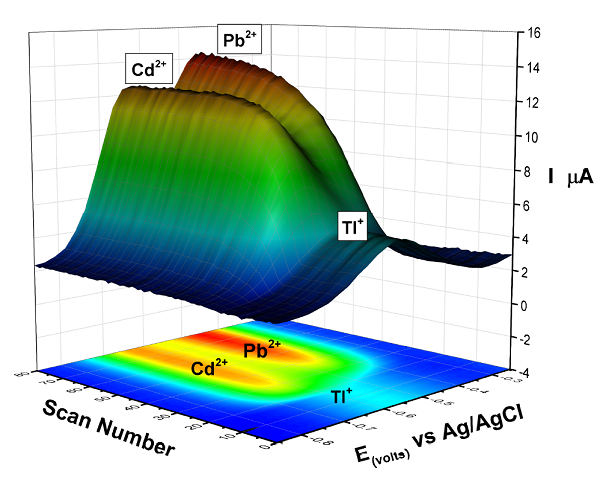 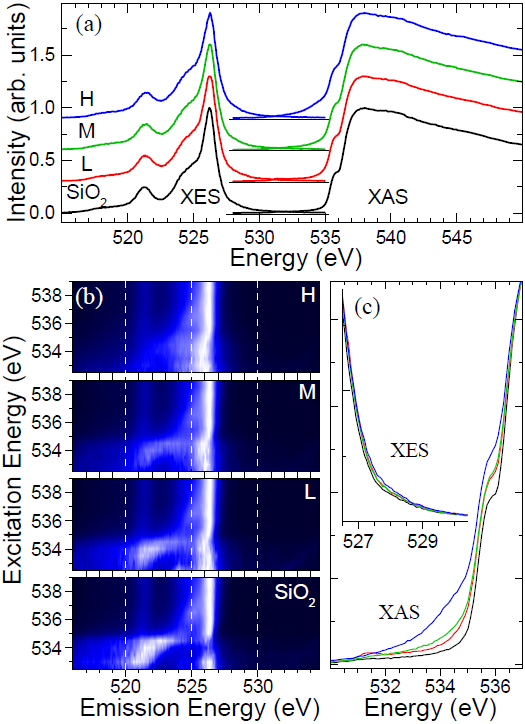 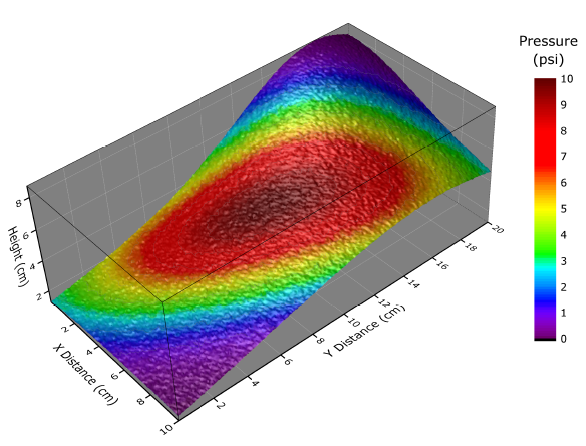 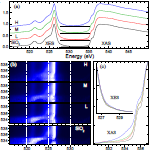 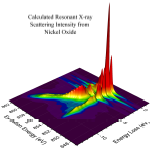 In this surface plot, each peak corresponds to a different semiconducting nanotube structure. 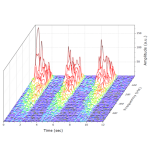 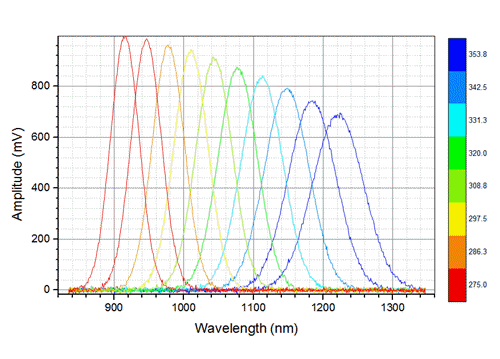 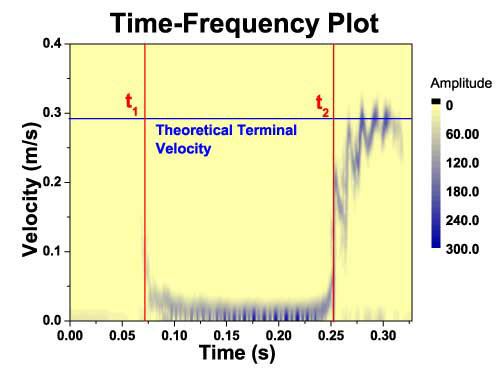 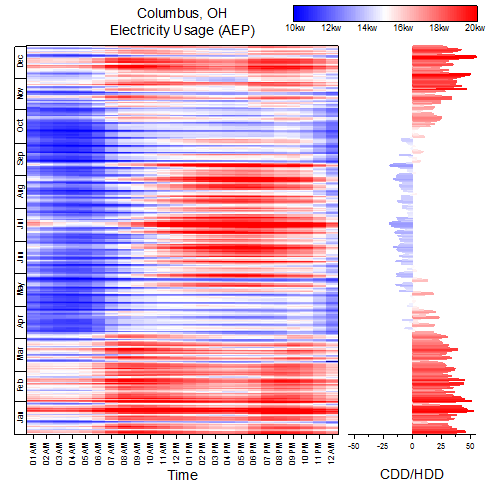 Single-walled nanotube emission intensity plotted as a color-coded contour plot. 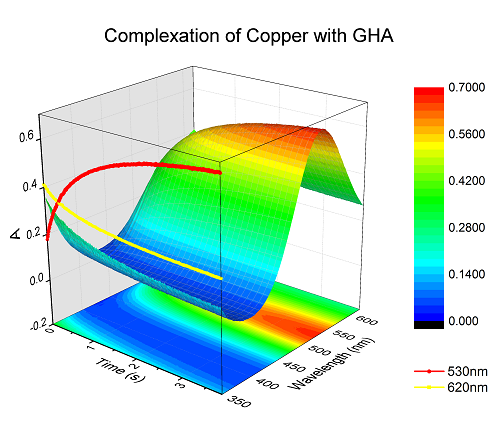 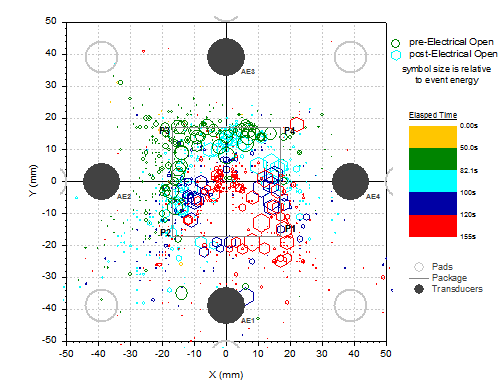 3D color map surface and 2D line plot combined to illustrate the problem of measuring electrical impedance under adverse conditions. 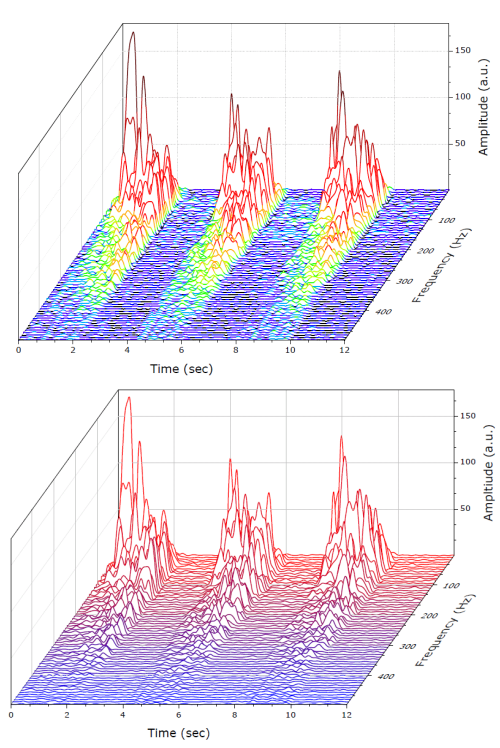 Vector plot illustrating the effect on river water flow of two differently shaped pylons. 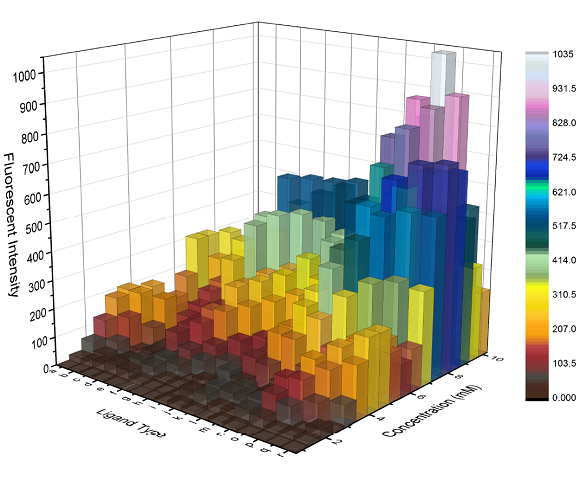 A color graph adds magnitude as a fourth dimension. 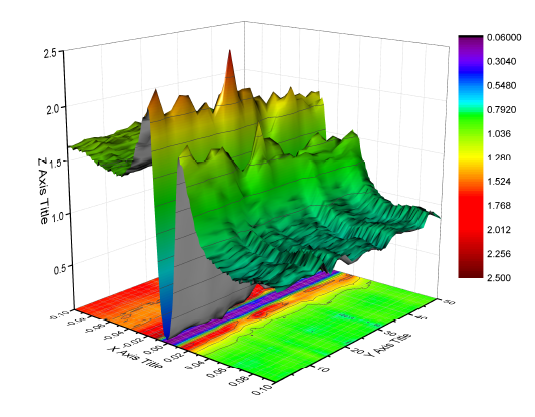 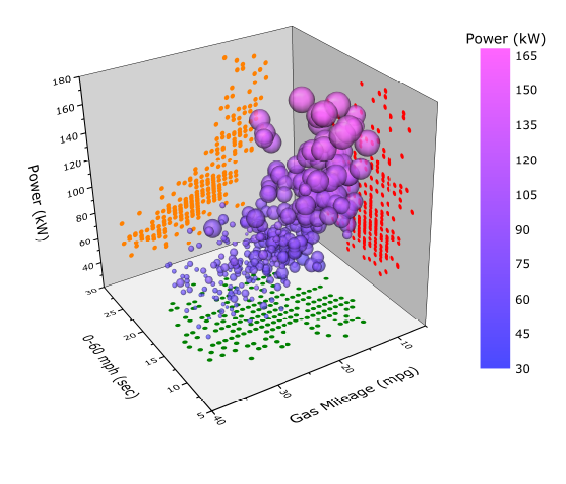 This 3D color map surface and bottom contour projection graph shows the emission of Ne IX ions from a very hot and dense plasma in a Z-pinch device. 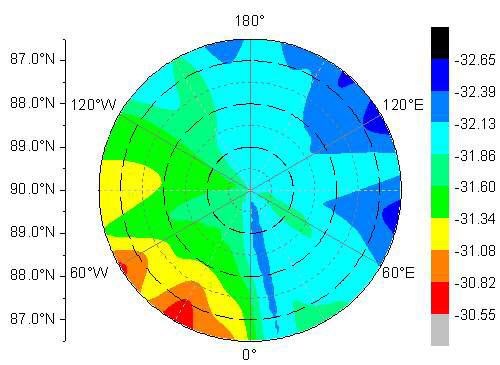 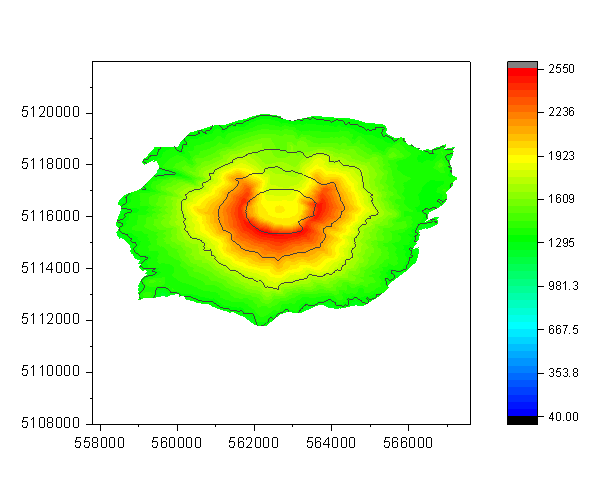 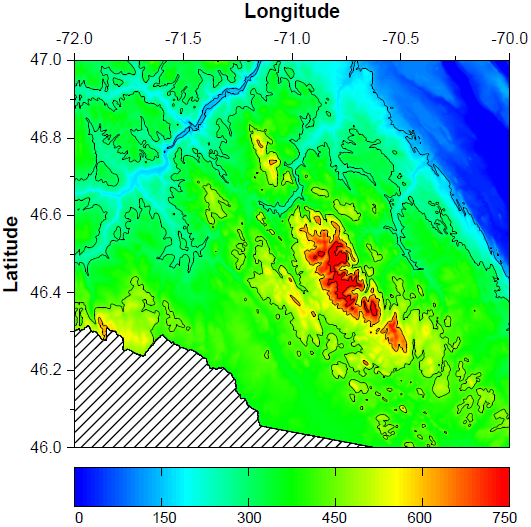 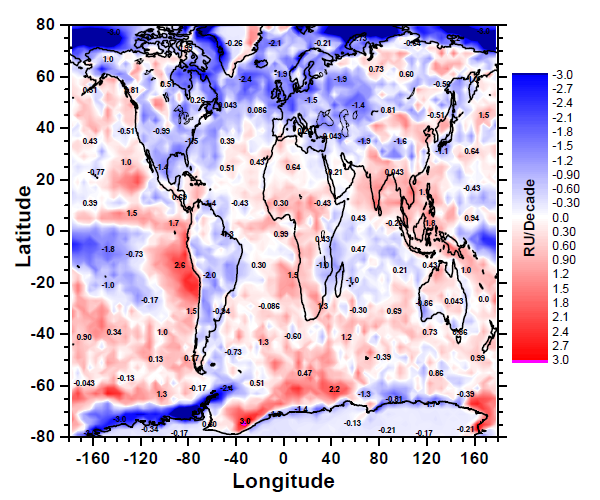 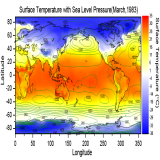 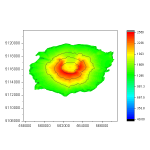 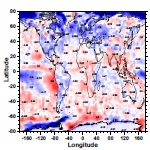 Contour plot with geographical data representing the part of total solar radiation that is reflected by the Earth''s surface. 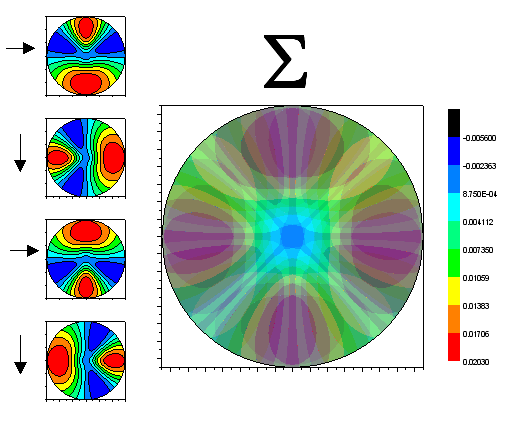 Circular contour plot depicting spatial activity patterns predicted by a computational model of the visual system of a housefly. 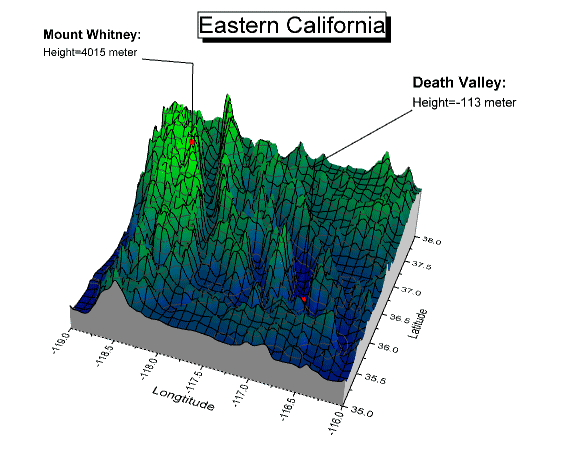 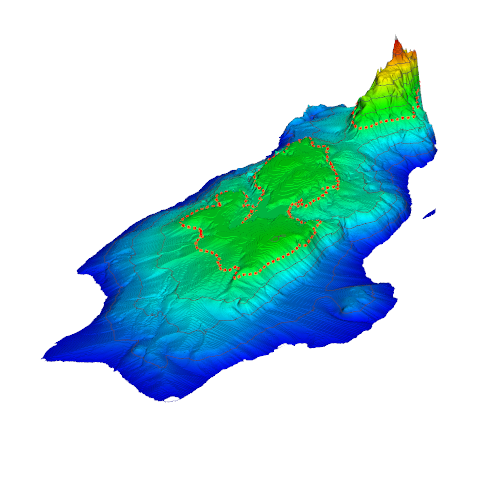 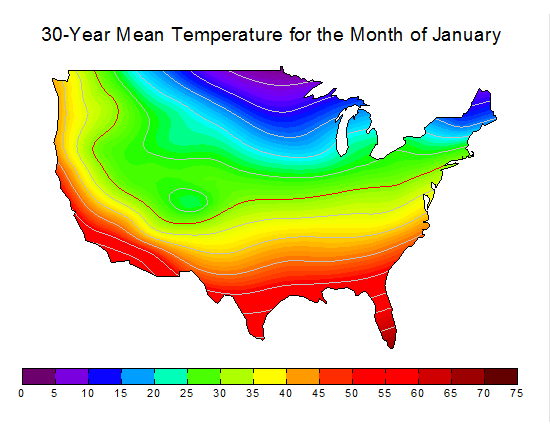 Color fill contour graph with geographical map overlay. 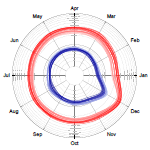 Wind speed and direction over time represented in a windrose diagram. 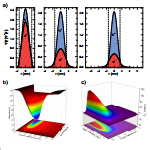 These two graphs display data from a study of dislocation densities on disk-shaped semiconductor wafers. 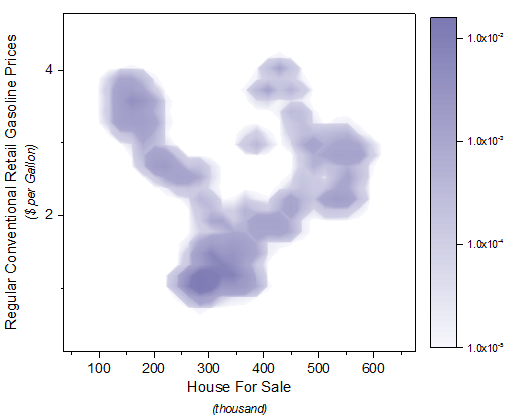 The first graph is a histogram generated from data stored in multiple worksheets. 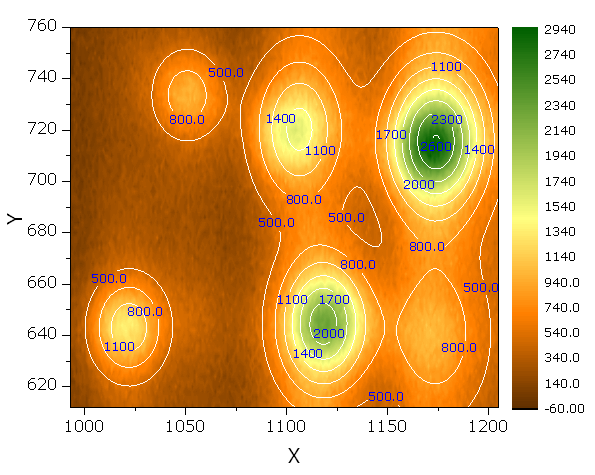 The second graph is a scatter plot of the location of a measured value on the wafer. 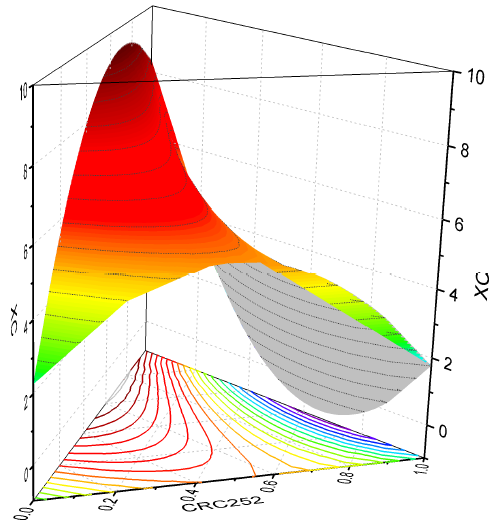 Contour plot illustrating the influence of two different agents on the survival rate of cryopreserved red blood cells.